safety and health risks that can present themselves around equestrian facilities. Doors and windows, that were open all summer are now closed, having an impact on indoor air quality. Heating sources that have been unused for several months, and collecting dust, are being turned on for the first time. Electrical circuits are now seeing increased loads providing additional lighting with the shorter days, or to power a portable electric heater. Or perhaps, a family of mice has taken up residence in the breaker panel. Winter can many challenges to equestrian facilities. From freezing pipes and downspouts to increased risk of fire. There’s no better time than now to review your facility and improve your emergency preparedness plan. 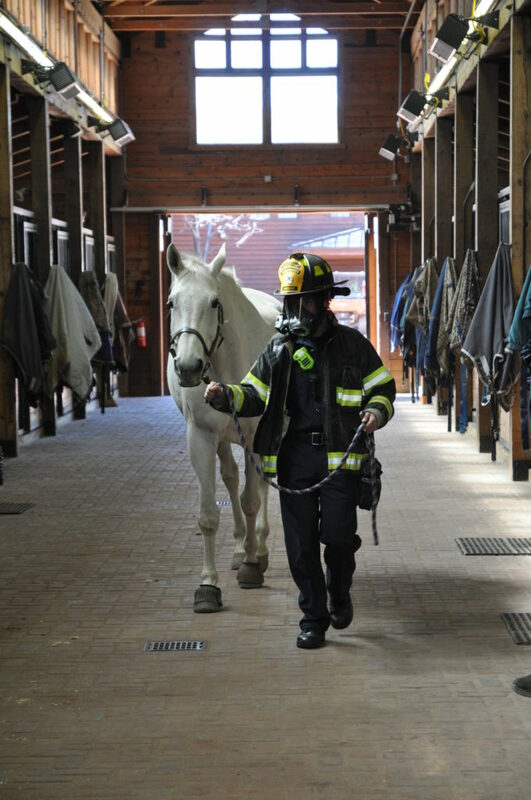 Download the free Equestrian Facility Barn Safety and Fire Prevention Checklist to help make your facility a safer and healthier equine environment.